Proceed to the intersection of Hover Rd & Boston Rd. 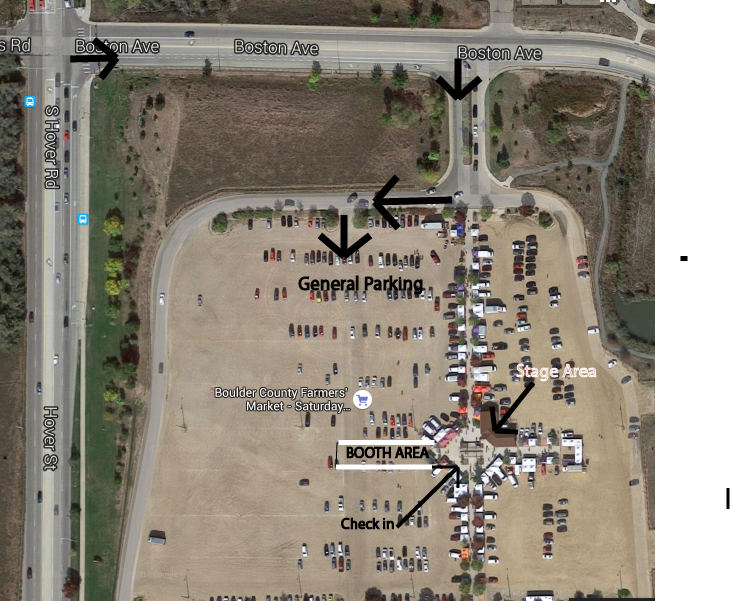 Turn South into the Boulder County Fairgrounds. Turn onto the dirt parking lot to park. Take Iris St south or Foothills Parkway to Highway 119. Turn left at Hover St (near the blue silo), and proceed one mile. Pass Nelson Road and turn right at Boston Ave. Turn right into the fairgrounds. Take a right and then an immediate left onto the dirt parking lot. Park!